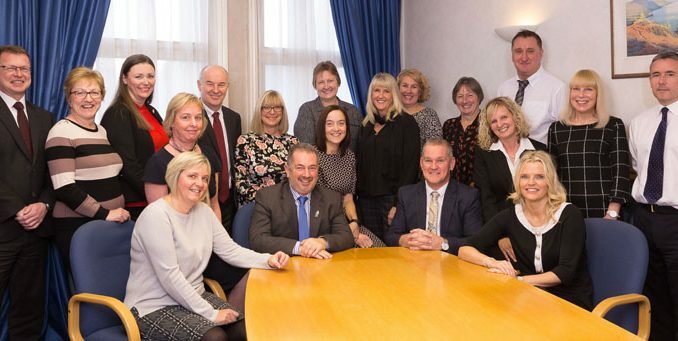 A loyal bunch of 20 employees and directors have clocked up over 500 years’ service with a Tees-based accountancy. Many members of staff joined Stockton-based Baines Jewitt at the start of their working careers, either as school leavers or graduates. “We are happy to support ongoing training and development to keep on top of new legislation and changes in policy,” said director Trevor Cook. “As a result, many of our employees have achieved – or are working towards – professional accreditation from the Institute of Chartered Accountants in England and Wales (ICAEW) or Chartered Institute of Taxation (CIOT) for example. As part of its excellent retention record, several individuals have clocked up over 30 years’ service with Baines Jewitt. One of the firm’s longest-serving employees, Jane Neal, has an impressive 36 years’ service to her name. Working as a senior accounting technician, Jane started with Baines Jewitt – then Baines, Goldston and Jackson – in 1982.